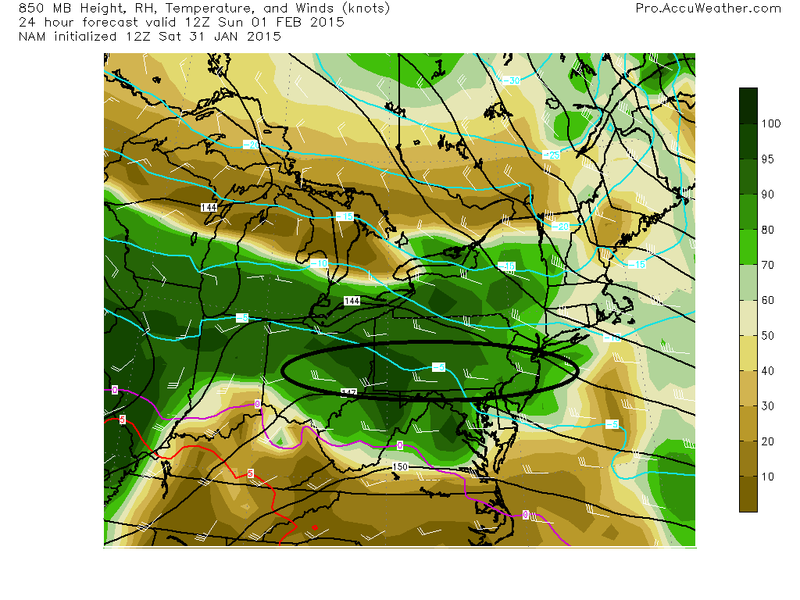 1) First will be an area of lift that pushes east out ahead of the main system late morning into the afternoon. Although the axis will be focused along the Mason Dixon Line, there will still be some light precipitation that breaks out across northern Virginia...likely in the form of sleet or snow with 850 temperatures still below freezing. This could lead to light accumulations with the better chance the farther north you go...maybe even an inch or two across the far northern Shenandoah Valley. 2) With the low now expected to take the more northerly track into Ohio, warm air will surge in and change most areas to rain as the main batch of precipitation works in later during the evening. Higher elevations and northern areas will be last to changeover, but I do expect it to occur everywhere. 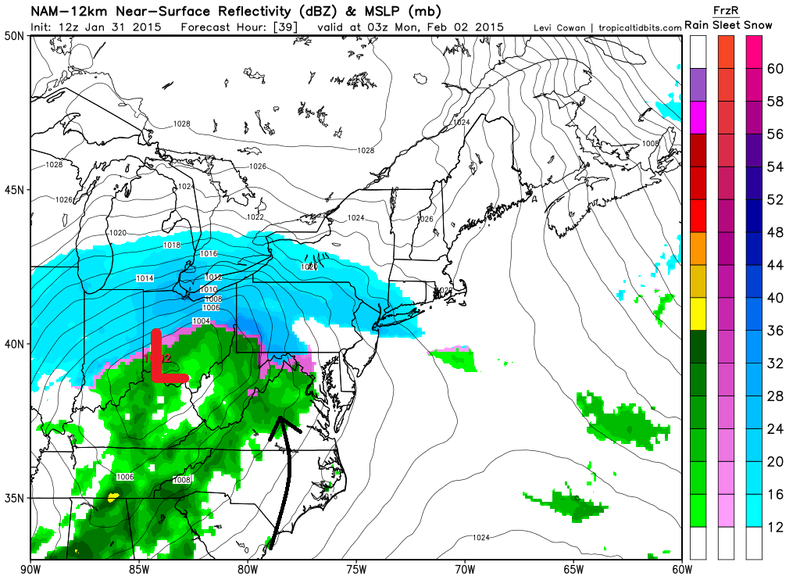 There may be a period of sleet/freezing rain/wet snow slop during the transition period. 3) As the system departs to the northeast Monday, the question will be if cold air can catch up and change things back over to snow before ending. The best shot for this will be across the upslope favored mountains of West Virginia and far southwestern Virginia where snow showers should continue into Monday night. Back end snow rarely pan out east of there but at least something to keep an eye on.